Heroin reaches the brain very rapidly, regardless of whether it’s inhaled, injected, or smoked. Such a quick delivery to this vital organ makes heroin one of the riskiest illicit drugs to use, as well as one of the most addictive, requiring a Florida heroin addiction rehab center to kick the habit. Heroin is an illegal street drug. It has no known medicinal benefits. Because of its ability to create euphoria, it remains a popular street drug among drug users. The drug’s most disturbing quality is the speed at which a heroin addiction can form. It’s common for most drugs to require months of use before an addiction sets in. With heroin, a user could form an addiction within weeks. Because of its side effects, heroin is a hazardous substance. The side effects can occur in short order and are capable of lasting for long periods of time. At the moderate end of the spectrum, heroin’s side effects include itching, nausea, slowed cognitive function, dry mouth, and the warm flushing of the skin. In all cases, people should be wary of any side effects they might incur. They should also be very concerned about withdrawal symptoms should they suddenly decide to stop taking the drug. Heroin withdrawal can create some severe health conditions. Why Does Heroin Addiction Develop? Many people wonder why heroin addiction occurs in the first place. Each year, thousands of people die from this drug addiction. However, what causes the terrible disease? First, it’s important to remember that heroin addiction is a disease. That is, no one chooses to have a heroin addiction. Furthermore, once it starts, it’s almost impossible to stop on your own. To end a heroin addiction, you need help from a professional heroin drug rehab center. So, why does heroin addiction occur? Individuals throughout the United States turn to heroin for a variety of reasons. Primarily, most people use drugs like heroin to escape something. Many people who are struggling with depression or other mental health disorders may turn to heroin to deal with their difficulties. Sometimes, individuals turn to heroin and other drugs after going through a difficult time. For example, someone may start abusing drugs after experiencing the death of a loved one. Going through a turbulent time like the loss of a job or diagnosis of a serious illness could cause drug use. Finally, being in battle or a war zone may also encourage drug use. On the other hand, heroin addiction can arise because of peer pressure as well. Individuals who spend time with others who abuse heroin are far more likely to start abusing the substance too. Lastly, one of the biggest reasons for heroin addiction is opiate pain medication addiction. The primary issue with heroin is that it’s extremely physically addictive, and even after one use, someone can experience harsh withdrawal. The symptoms of withdrawal from heroin are very difficult to deal with because they’re mental and physical. Many people can’t tolerate the symptoms of withdrawal, so they continue using heroin. They believe the only way to live is to keep using and avoid withdrawal. Part of the disease of addiction tells a person that continuing to use is the easiest thing to do. Addiction treatment and detox can change a person’s life and give him or her hope. Addiction medicine has created different non-narcotic medications that help decrease the symptoms of withdrawal. A person can safely detox with the help of a qualified facility and then begin treatment. Given the dangerous nature of heroin effects on the body, treatment from a reputable detox and rehab center is always necessary. Upon admission, there’s a strong chance the medical staff will recommend detox. The detox process is required to curtail cravings and clear the body and mind of the harmful substance. From detox, it’s off to treatment. Treatment usually includes group therapy and hours of intensive individual therapy. The goals of treatment include educating the patient about their addiction and helping them identify triggers. Armed with this information, the counselor and patient should be able to develop coping skills and a relapse prevention plan. Absolute focus and commitment from the patient are the keys to lasting recovery. According to the National Institute on Drug Abuse, approximately 4.2 million Americans have used heroin. About 23% of those who try the drug become addicted. Once addicted to heroin, breaking the cycle of substance abuse and addiction is extremely difficult. Unfortunately, heroin is terribly dangerous. This is particularly true in its effect on the brain stem, the area of the brain responsible for critical life functions, such as breathing, blood pressure, and arousal. Deciding to enter a heroin rehab center in Florida is a lifesaving one. At Beaches Recovery, our Jacksonville drug rehab center provides assistance with the psychological and physical ramifications of heroin addiction, as well as the underlying causes of substance abuse. Our addiction treatment programs help you search for the cause and address any other underlying issues to get you to complete recovery. Using the Florida model of treatment, Beaches Recovery provides the vast benefits this model of rehabilitation presents to recovering addicts. An important aspect of the Florida model of addiction recovery is that of intensive treatment, inpatient and outpatient. Counseling and cognitive behavioral therapy are major components of treatment at Beaches Recovery. People addicted to heroin can pinpoint the contributing factors that led to their drug use and addiction in the first place. These therapies also help them learn coping skills and other means of sustaining ongoing recovery. 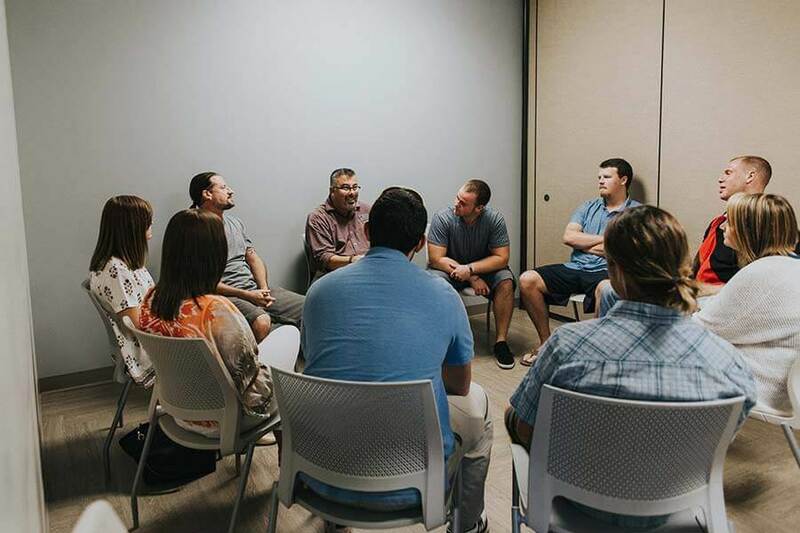 Group therapy provides important socialization for those addicted who have become more accustomed to retreating within themselves as part of the physical and social isolation of heroin use. This is a vital aspect of any successful recovery. Alternative and holistic treatments that a heroin addiction rehab center provides include wellness education for the individual as a supplement to psychotherapy. Remember that recovery is about more than getting off heroin. It’s about staying off heroin. Contact Our Heroin Rehab Center Today! Many people claim that a heroin addiction rehab center is a pathway to a new life or a fresh start. This is true, in that so much has been lost during the period of substance abuse that there’s much to regain. This fresh start is only a matter of a few steps from where you or your loved one are right now. Taking the first step and contacting us will help the heroin abuser in your life begin anew for the chance of a healthy future that everyone deserves. Call Beaches Recovery in Jacksonville, FL today at 866.605.0532 and take the burden of heroin addiction off your back.